M-Solv will be exhibiting at the IDTechEx Printed Electronics USA Show on the 18th and 19th November 2015 in Santa Clara. M-Solv will be exhibiting alongside our colleagues at Northfield Automation Systems, at the event which focuses on the commercialisation of printed, organic and flexible electronics. Come and visit us at booth M20 to learn more about our tools, technology and application know-how. Our experts will be on hand and happy to discuss any or your questions. 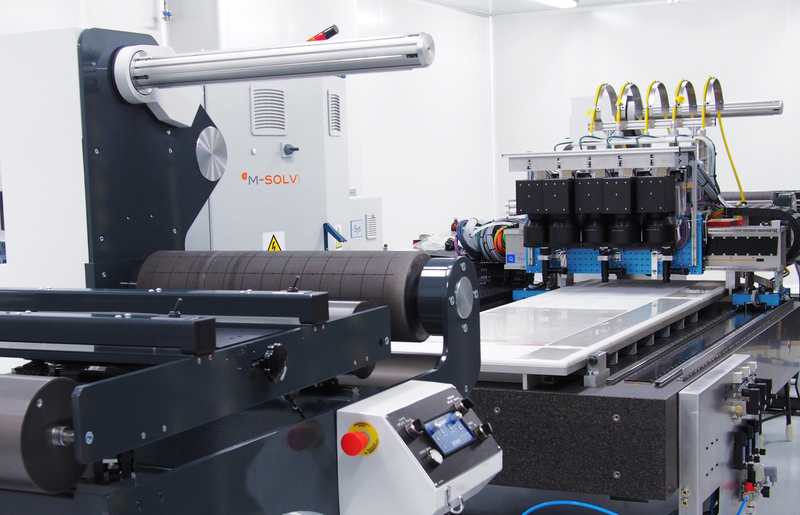 We will be showcasing our systems which allow accurate deposition and laser processing on a roll-to-roll platform, suitable for the growing needs of the printed electronics industry. We will also be on hand to offer our expertise in inkjet printing, laser sintering and laser processing technologies which can be integrated into these systems. So come and visit us at booth M20 and see how our systems are enabling the commercialisation of printed, organic and flexible electronics.